MANILA – Malacañang on Thursday admitted the government has to boost further its information drive to explain the benefits the country will get under proposed federal form of government. Presidential Spokesperson Harry Roque made this reaction amid criticisms and surveys, which said that majority of the Filipinos are against Charter change and federalism. “We are dealing with the challenge squarely. 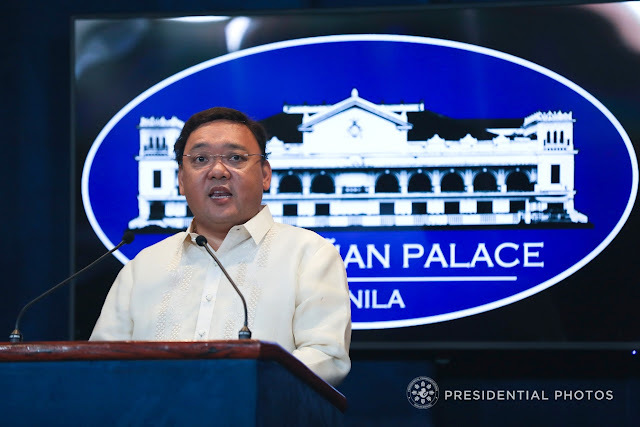 We know that we have to work double-time as far as dissemination is concerned,” Roque said a Palace press briefing. Roque said local governments will also benefit more under a federal system of government. “We are accepting the challenge to improve on dissemination, discuss the issue on why we need to effect the change to federalism,” he said. On proposal to postpone the 2019 polls, Roque said Duterte has assured he has nothing to do with the "no-el" or no-election scenario. “This what I’ve talked with the President. I will quote the President: “I will not have any hand in that”. He won’t really allow no-el just for Charter change,” Roque said. House Speaker Pantaleon Alvarez, a political ally of the President, has proposed to cancel next year’s elections to give lawmakers enough time to tackle proposed shift to federalism. Meanwhile, Roque downplayed criticisms that Duterte will use Charter change to stay in power. “If the President wanted to really stay in his position, he would not have ask the transitory provision that provide for election of transition leader,” Roque said. “The truth is, it is enough for the President to make the federalism his legacy,” he added. Roque said Duterte has challenged his allies in Congress not to take advantage of the proposed federalism.